Water is a lifeline for all of us, but if you are living in an area where clean and rich source water is scarce, then you will need a machine to turn your tap water into healthy drinking water. Today, the latest technology has made it possible to drink clean and hydrogen-rich water at home. The rich hydrogen water generator is the newest machine on the market that can convert tap water into hydrogen water. It is best to change hard water as well as RO water in a hydrogen-rich water that puts a remarkable impact on your health. Hydrogen water machines are the newest on the market that generates high levels of hydrogen molecules in the water and adds antioxidants in it to make it safe for drinking. 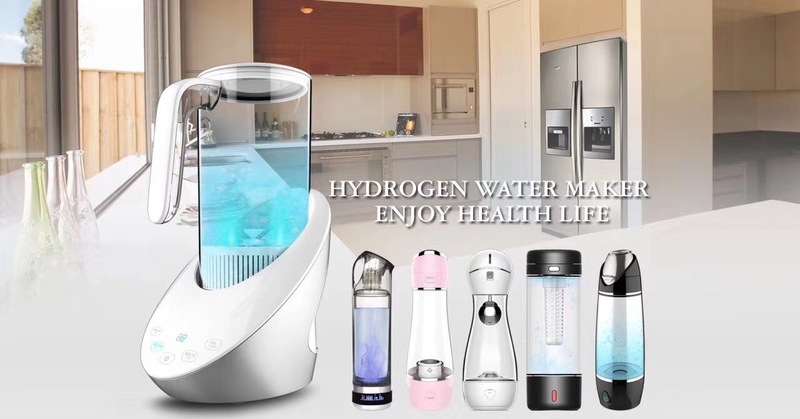 There are many benefits of using molecular hydrogen machine, so lots of people are using these machines in their homes. There are plenty of hydrogen water machines available on the market, but when you compare them in performance, no one competes with the Olansi hydrogen water machine. Research has proved the importance of hydrogen-rich water and it can positively affect the overall health of human being. Olansi offers a portal, smart and sleek design water purifier that adds hydrogen molecules into the water and removes all impurities from the water. The Olansi water machine comes in two pieces, including a glass jug with closure and an electric jug holder for water purification. It incorporates an innovatively designed water jug with an ergonomic handle to add the convenience of use. It comes with a power adapter and let you easily control the operation of the water machine with the help of touch buttons. It has a 500 ML water capacity jug that can be used for drinking for some time. The machine gives noiseless operation and incorporates LED indicators to help users easily operate this machine. The Olansi hydrogen water machine is an energy efficient device with high-performance quality. The machine generates rich-hydrogen water with the strong antioxidant capacity to prevent the harmful effects of particles. Though, it is a small machine but have an excellent quality material and have a sturdy built making a long lasting unit for home use. It has a lightweight, convenient and comfortable plastic-made jug to place on the machine. The use of the high-grade material in the production of glass makes it high temperature resistant, easy clean and manageable. The machine works automatically when pushed on to purify the water and uses electrolysis to produce a large volume of hydrogen water. Olansi machine is complying all international standards and quality systems testing while making such intelligent and state-of-the-art water purifying machines. The Olanis’s hydrogen water machine sets a new performance standard in the ionizer industry and designed for reliability. The company is offering this machine in an attractive design with improved functionality to deliver ionized water constantly. It is the best machine available on the market today with an optimal drinking solution.